So that’s it isn’t it? The final GW saw 2 premier league legends bow out with a goal apiece, although Mr Haircut did get somewhat gubbed in the process. Walcott strolled on & buried three goals, much to the chagrin of everyone who had picked Giroud & John Terry didn’t have to change out of his suit to pick up the trophy this season. But you have to feel for Leicester who missed out on a Europa league spot despite having a bl00dy good go. Post match interviews yielded little comedy while managers started their summer shopping lists or started clearing their desks. But let’s get down to what all that meant for our merry bands of assorted goth types & pie fans. This round up will be slightly different to previous weeks, so bare with me. 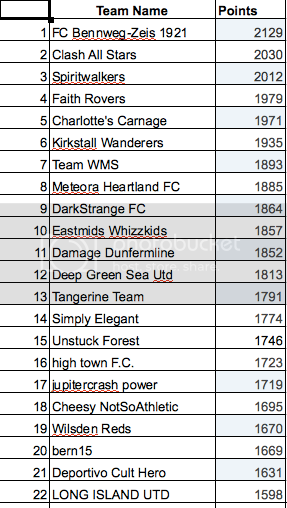 In the final GW of season 2014/15 The Industrial Groove Machine showed no signs of taking their feet off their collective pedal & turned in yet another victory over the Eleven Imaginary Boys. A round up of the scores on the doors as follows. Overall differential +1010 The Sisters. Final standings in the table as follows. You’ll notice I’ve missed the Yellow Jersey this week. 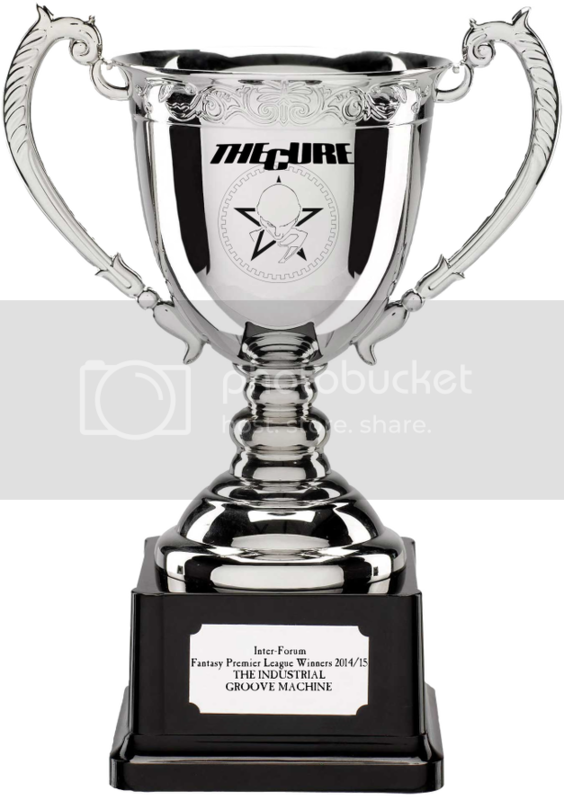 Well, it’s a bit academic really, as this week we hand over the (virtual) trophy for the inaugural inter forum FPL competition to the IGM captain, Johnny Rev 7.0 !! Many congratulations to the whole team who actually streaked off into the diistance to take the trophy by a country mile. & before I shut my pie hole, It’s been a long old trek & the first time (that I know of) this has ever been done & Both Johnny & myself are so glad you all stuck with it & played & hopefully had fun along the way.It was ambitious, but hey! That’s the way we roll innit? Both teams take a bow. Seriously. 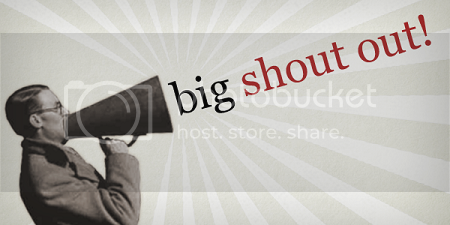 You’ve all been terrific & the threads have been a wonderfully lively addition to both the MyHeartland & TheCureCommunity communities & for that we can’t really thank you enough. Those who have crossed over both ways (ooer) have hopefully forged new friendships & made existing ones even better & to our IGM guests, you’re always welcome if you want to pop in for a discussion……or a pie. Lastly (but not leastly) a special thanks to our pom pom shaking cheerleader Pipperoo for keeping the spirits up. Me too as it happens. And me! We've had a lot of pies together, kids. Stayed in the top ten! And to cap it all, Norwich stuffed Boro to get promoted. Woo! and ...see you again ...next (season) year! We are in Wales. Travelled down yesterday. The excitement of finding a pub in Porthmadog that had sky was quite something... Finally found one and got them to put it on. Box was playing up! Aaghhh! Finally got it sorted just in time to see the celebrations of our first goal. It was a rollercoaster. After we got 2 after 15 mins, I said 'we need another one to be safe' which is a bit sad. A lot of perfectly good worrying wasted! I almost had a total meltdown doing the trophy. I thought I had it all finished before I "proof read" the plaque & recognised I had put "The Imaginary Groove Machine" on it. The air was a fair approximation of a crayola commercial in hue.